Rest Assured, you can finally enjoy your coffee in a public place, while browsing your favorite sites in private. Feel comfortable knowing your New Privacy Filter is protecting your confidential information from prying eyes. Your search for the best in screen privacy is over! The Privacy Filter is Anti-Glare, Anti Scratch and Prevents 96%UV and 99% LF Radiations - Great News for your Eyes! Lifetime Warranty - Try it Risk Free Today! Is your screen a raised bezel or a flat front screen? ✔ NO MORE PRYING EYES ! - Feel secure using proven, patented micro-louver technology based on LG and 3M at a fraction of the price. Best for public and high traffic areas; offices, financial and health care providers. ✔ DARK FOR OTHERS - Crystal clear vision for you. The screen is dark from the side (beyond 30 deg) but clear from the front. ✔ REDUCES EYE STRESS with Anti Scratch and Anti-glare properties- reducing more than 97% of UV & LF radiation and curbing blue light by 70% - Protecting your eyes from harmful rays. ✔ EASY INSTALLATION - choose between 2 simple Options; Slide-On/Off or Mounted. The filter is lightweight, thin and frame-less in design. EXTRA BONUS set of genuine 3M adhesive tape included. 30 DAY RETURNS - No Questions Asked ! Company Based in USA. 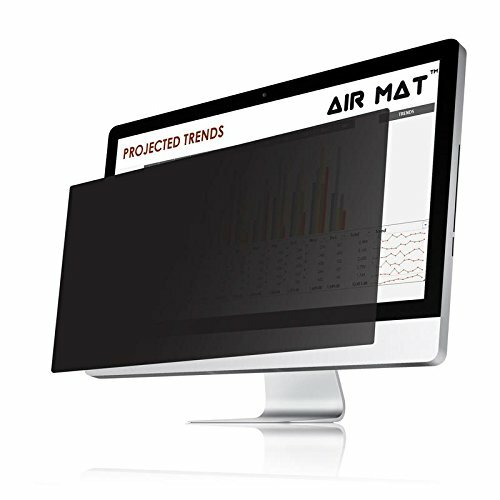 If you have any questions about this product by Air Mat, contact us by completing and submitting the form below. If you are looking for a specif part number, please include it with your message.